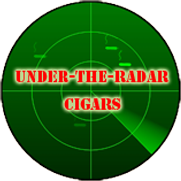 Cigar Ratings Revisited…When the Numbers Just Don’t Add Up. Cigar reviews are a dime a dozen. Every cigar blog has them as well as every cigar magazine. Factor in almost every post on any cigar forum, and cigar reviews become a cacophony of opinions. Although we tend to lend more credence to reviewers we perceive as experts, their tastes and experiential level might not match ours. For example the guys at Cigar Aficionado have been smoking for decades and smoke multiple cigars daily. It’s only natural that they would prefer strong cigars, and a glance at their ratings will bear this out. And it’s hard to get any two cigar smokers to agree on a particular cigar. Like doctors with differing diagnoses, each smoker will pick up differing qualities, the interpretation of which can be as far apart as candela and maduro. Those of us who trade cigars quickly learn that the cigar we thought was outstanding often turns out to be another man’s disappointment. Even with those whose opinions we respect. How we perceive the taste of a cigar is influenced by many things…our mood, the environment, what we’ve had to eat, and the time of day (to name a few). A cigar we enjoyed days before can seem distasteful when revisited days later. Conversely a cigar we didn’t’ like in the past can suddenly taste very good under different circumstances. So any cigar review is subject to the current mood of the reviewer. Issue no. 3: How much of the stick did they smoke? Well we’re not talking about books here but the saying still applies. 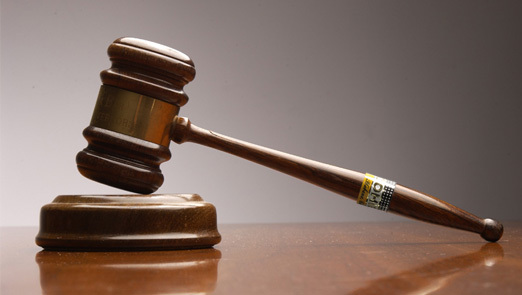 Why would appearance carry so much weight in cigar judging? Sure, a beautiful cigar can be alluring to a cigar lover, but can also seduce a smoker into a disappointing relationship. Additionally a cigar with a bad complexion can make for an especially satisfying smoking experience. Sometimes we smoke a cigar that has all the elements we like, but it just doesn’t “do it” for us. It’s got a nice blend, complexity, it’s smooth, but we lose interest halfway through. It just gets boring. So we put it down, grab a familiar favorite and boom, there it is. A great blend, complexity, it’s smooth, but this cigar has something else…personality, a “thing” the other stick just didn’t have. And as we smoke, the stick gets better, more interesting, and we are left with a sense of well-being. It’s as if we are getting reacquainted with an old friend. This intangible quality cannot be quantified. How can it be put into a grade point? Yet this is the most important element that connects us to the cigars we love. Others may not share our passion for a particular cigar, but to the admirer, it doesn’t matter what others may think. No one is going to convince us that a cigar we love is not worthy of a high rating. And a cigar with a 90 plus grade may not speak to us at all. But ratings serve many purposes. To a novice, ratings can be a good starting point, although a new smoker would probably find most highly rated cigars too strong. Ratings can introduce us to sticks we have never heard of, thereby expanding our empirical cigar knowledge. But again, it’s all about our own personal tastes. No one knows what we like more than ourselves. 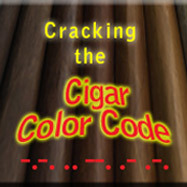 Yet reading between the lines of a cigar review can reveal some useful information. First of all we need to be in touch with what we like in a cigar. If we like mild sticks then we should stay away from anything labeled ligero or fuerte, regardless of the rating. If it’s strong cigars we crave, cigars with tobacco from Esteli, Nicaragua might suit us well. If it’s a floral or fruit profile we want, something described as “earthy” is likely to disappoint. Conversely if a rich, dark, “earthy” cigar is your thing, stay away from the fruit. When looking at ratings, reading the description of a cigar can be more valuable than the numerical rating by itself. 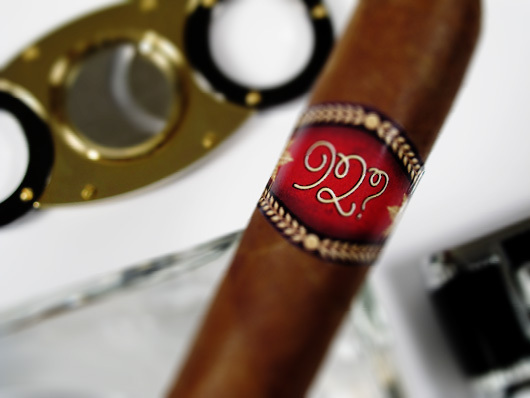 The difference between a cigar rated 93, and one with a score of 89 will most likely be the result of individual taste. Above a certain point, the numerical value becomes less important. And often, a bad review will tell us more about a cigar than a good one. If two reviewers have differing takes on the same cigar, the bad review may reveal something about its character that could aid us in avoiding an unsuccessful purchase. A cigar is a complex thing. For it to be considered good, many variables need to fall into place. To reduce it’s value to a simple number serves to discredit anyone who has toiled endlessly to create this wonderful work of consumable art. For many, cigar rating numbers serve as a quick reference point and a way to weed out bad cigars, (anything rated less than, say 83, would probably taste pretty awful). But by reading between the lines and picking up clues in a cigar’s description, a well written critique can guide us to rewarding cigar purchases. Excellent piece Joe. Looks like you covered all the salient points. “Our environment and moods…” in particular got my attention. I smoke a lot of cigars in the office, but except for some rare instances, I enjoy cigars much more when I’m out on my deck or sunk into a big leather cigar store armchair. Bottom line, It’s difficult to be objective about a wrapped up cylinder of dead plants which are each affected differently during growth, harvest, rolling, packaging, transit, etc. Add that to one’s mental and environmental state, their personal preferences for the strength and flavor of cigars, their years of cigar smoking…. at the end of the day ratings look subjective at best, and arbitrary at worst. I never did understand the value to the ratings/scoring. A lot of the cigars the big fancy magazine rates I either can find or afford anyway but I do enjoy reading them. You mention taste as in flavoring. I’m sorry but I have yet to have smoked a “fruity” or “earthy” or “whatever flavor cigar, unless it was purposefully flavored. I don’t get it, is there a cigar that tastes like chicken, the universal flavor? As for tunneling, I have never experienced it, yet. I get a lot of shelving, where one side burns turn and the other doesn’t forming a shelf. I find this happens in my most expensive cigars the most. And I hate that because for me to splurge and pay over a hundred bucks a box or over twenty dollars for a single stick and then have that happen, really pisses me off. The no brand, bundles, and less expensive cigars, which are never rated, burn the best for me. They all taste the same, maybe one stronger then the other, but that,s about it. To combat the shelving I’ll puff/draw, turn the cigar a quarter turn, puff/draw again, and turn again in hopes of giving it an even chance. Like I said, the highly rated cigars will do it anyway, the less expensive usually don’t.